Three different flowering cherries in the Botanical Garden (birchtrees in light-green bloom behind). I first published this photo at GBG365 on 20th April 2014. The spring is less far advanced this year and the winds blow cold. By and large birches and other early-leafing trees have only just begun to take on a fuzzy haze, seen from a distance. (Though there are exceptions – just today, from the window of a tram, I saw a single willow already green.) Still, as every year, the cherries are already in bloom, holding out the promise of finer days to come. 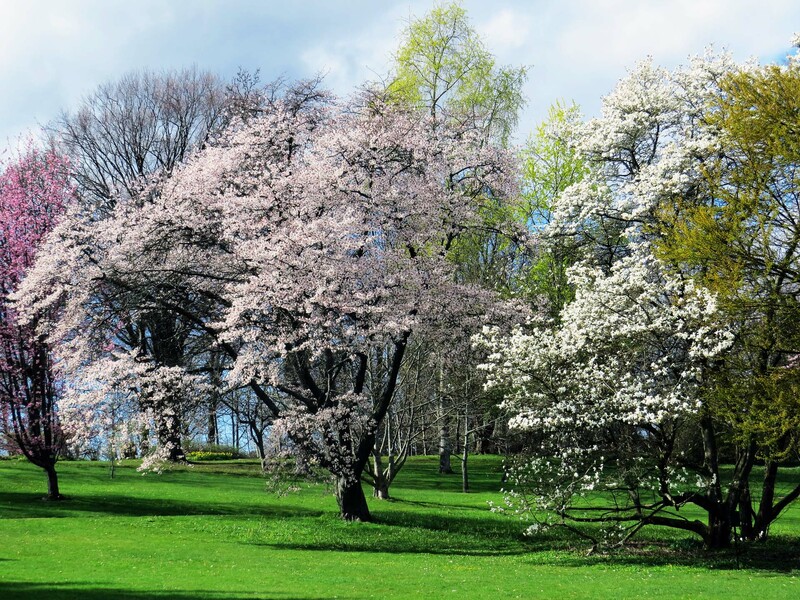 Gothenburg’s Botanical Garden (botaniska trädgård) is a much-loved feature of the city. Also, often a good place for photography. I’ve already included a couple of photos from there in this series (The photographer among cactuses and Careful – they bite!) No doubt there will be more to come.